Welcome to West U, where your home awaits you! This gem is extraordinarily unique. It has been thoughtfully updated to incorporate modern conveniences while preserving its original character. The entry flows seamlessly into an open concept floor plan with formals. Has a chef's kitchen equipped with marble countertops, custom cabinetry, wine refrigerator, and a suite of high-end stainless-steel appliances from Kitchen Aid. The interior walls have been freshly painted to provide a light and bright appearance. 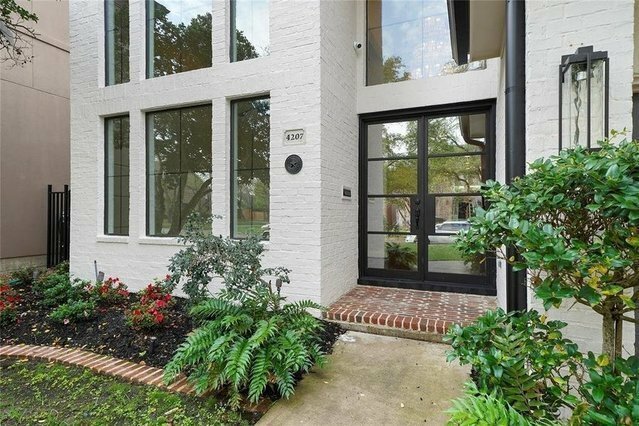 This gem includes a 8ft glass double steel front door, gorgeous chandeliers, modern ceiling fans, crown molding, modern hardware/doors, marble gas fireplace and beautiful hardwood flooring accentuate the beauty and uniqueness of this property. A generous backyard sitting area for reading or coffee and chats. This one is still getting its finishing touches. You must see it for yourself! Stop by today!